#ConcreteCharger, a product developed by O’dea Design, is a simple and stark cement block that wirelessly emits a charge to phones placed on top of it (via Fast Company). 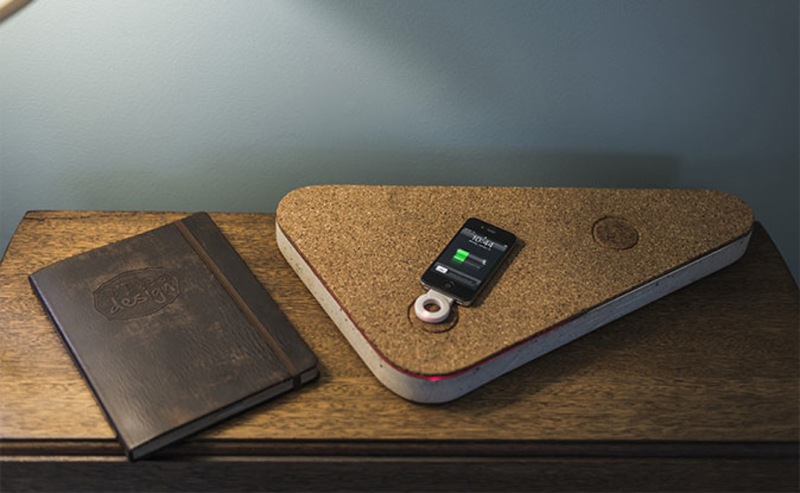 The wireless induction charger works with devices like the LG Nexus 4, Nokia Lumina 920 and Samsung Galaxy S4, as well as with various cases and dongles widely available for iOS devices. 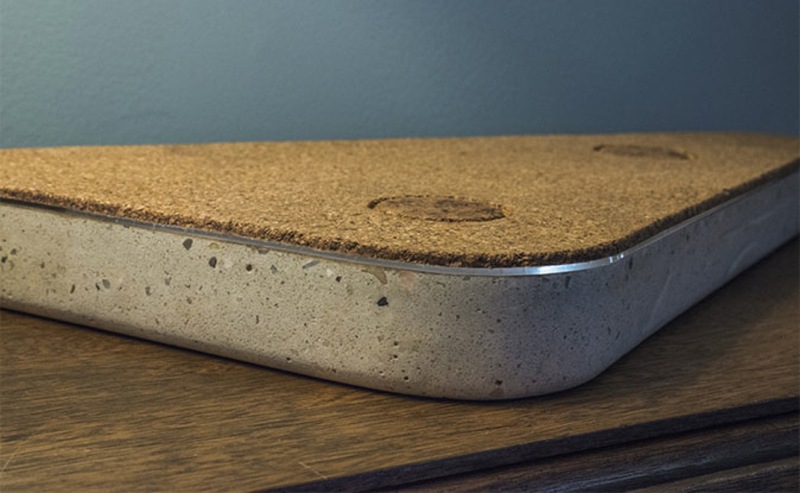 #CONCRETECHARGER: The triangular base is crafted from a 9000psi concrete mix and is contrasted with a soft cork top. According to the developer, programmable NFC tags are incorporated into the tops which can be used to change ring profiles or perform other tasks such as launching an alarm app when the NFC-enabled device is laid on the charger on a nightstand. The block is being offered in two options i.e concrete with cork and black cherrywood with felt, selling for $549 and $449 respectively. The integral polycarbonate “light blade” indicating the pad is in standby mode. Those who are interested can click this link to email and reserve a spot for when the chargers are ready to ship.